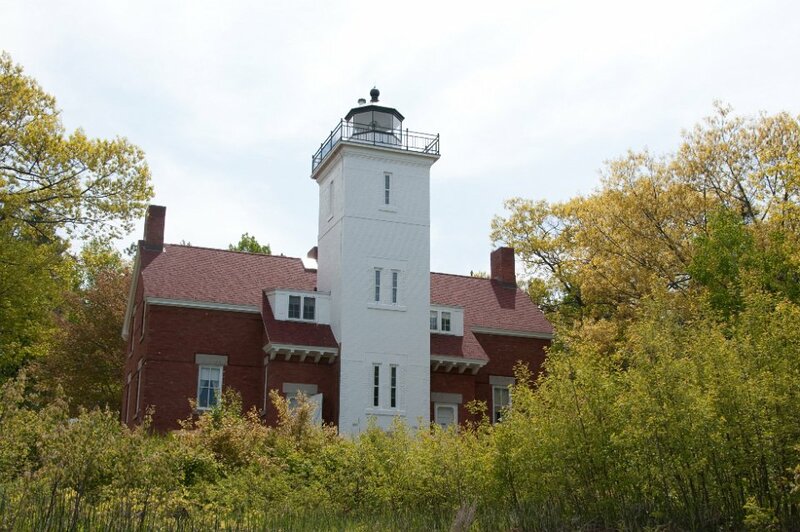 Forty Mile Point Light is a lighthouse in Northern Michigan, in Presque Isle County on Hammond Bay on the western shore of Lake Huron in Rogers Township, Michigan USA. 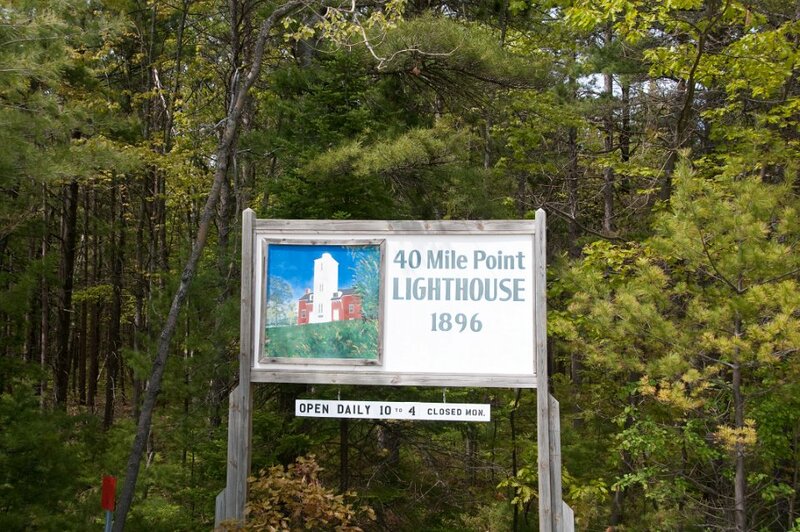 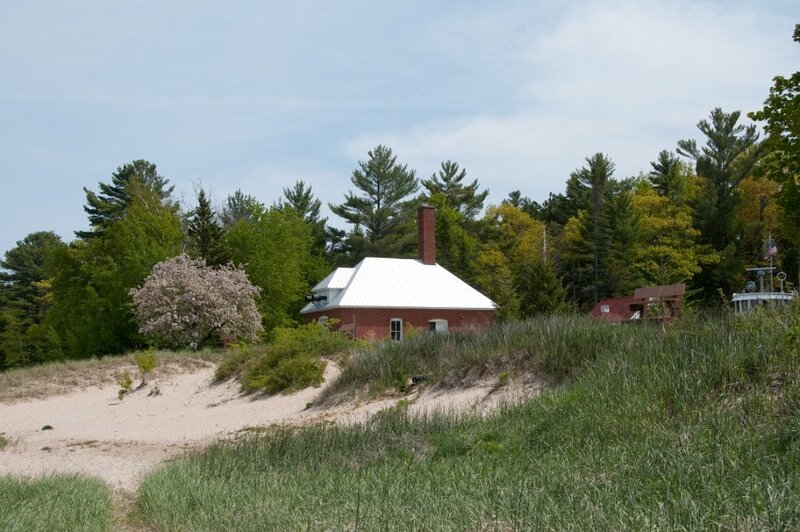 Unlike many Great Lakes lighthouses, Forty Mile Point Light does not mark a significant harbor or river mouth. 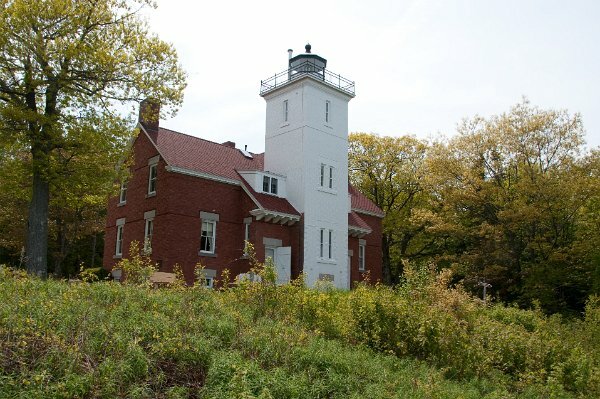 Rather, it was constructed with the intent that as one sailed from Mackinaw Point to the Saint Clair River, one would never be out of viewing range of a lighthouse. 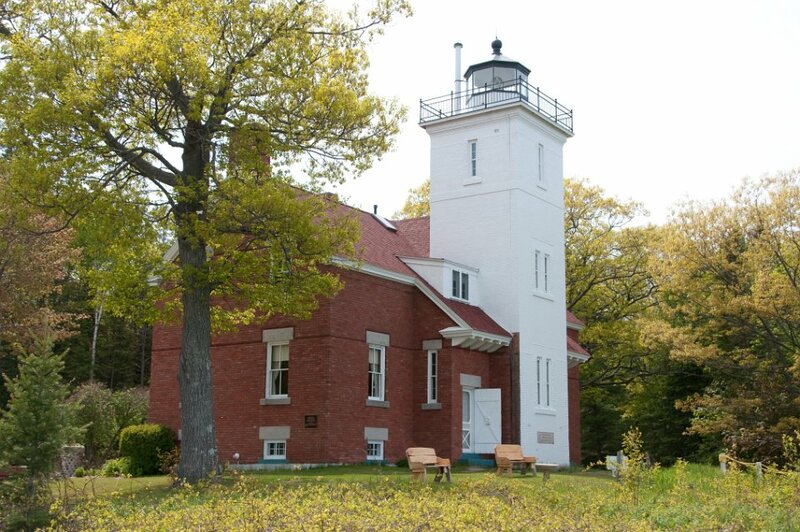 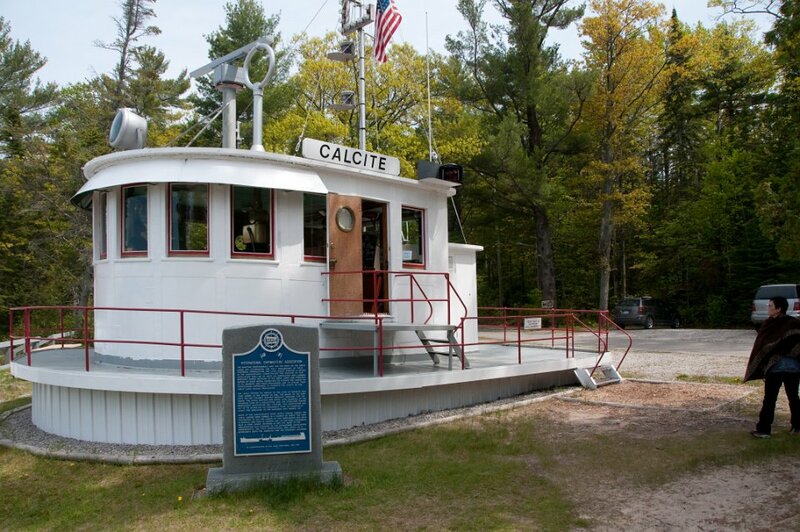 With no river or harbor to use for a name, the light is named on the basis that it is 40 miles (64 km) sailing distance from Mackinaw Point.